Sweet Christmas! The new season of "Marvel's Luke Cage" exceeds the first season in leaps and bounds! (AllHipHop Features) The first season of “Marvel’s Luke Cage” broke Netflix, something that was unimaginable at the time. The streaming monolith should consider allocating additional bandwidth based on the quality of season two, which premiers Friday June 22. Lets keep it real for a second. Although Luke Cage caused Netflix to go down for over two hours in 2016, much of the menacing allure was lost when the character Cornell “Cottonmouth” Stokes (Mahershala Ali) died in a most undignified fashion. The main villain's untimely passing still stings (we want him back!). So, the first half of Season 1 was riveting, and worth our time. It was harder to get through the second half, which had a very different, more cartoon-like tone. Season 2 of “Marvel’s Luke Cage” is addictive, dense and has plots, characters and plots that are woven like Egyptian sheets with a 1,000 thread count. This is the season we have been waiting for. 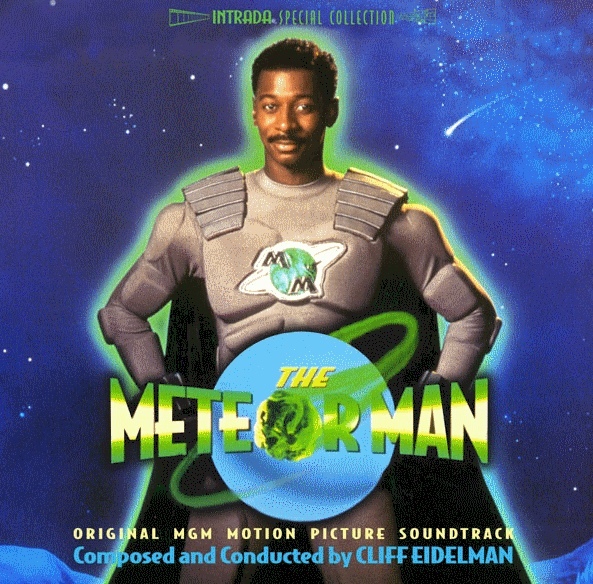 Remember, in 2016, we had not seen a Black superhero in a leading position like this and, no, Meteor Man doesn’t count. Neither does Steele. Or War Machine and Falcon respectfully. The heavy-handed messaging like Trayvon Martin hoodie references are complimented by more subtle, complex and nuanced concepts. Luke’s previous Pollyanna-like views on justice and inequality are all but gone in Season 2. The new incarnation examines exactly how interwoven street factions are with politics and police, Luke also changes in his quest to establish peace among them all. It is a slippery slope indeed. “Marvel’s Luke Cage” boasts a slew of complex characters that propel it to the top of the MCU’s TV pile. 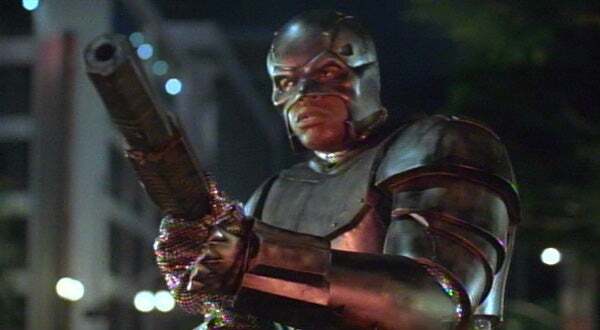 The “big bad” in the second season is Bushmaster, a badass Jamaican played by Mustafa Shakir. The character also allows Brooklyn to enter the ecosystem - irie! Then there is Black Mariah aka Mariah Dillard (Alfre Woodard), who teeters between going straight and plunging headfirst back into her murderous ways. Shades (Theo Rossi) becomes fully developed in unexpected ways and we really get a sense of who he is beyond being a tough sunglasses-at-night kind of villain. We’ve already seen that Misty Knight (Simone Missick) becomes bionically enhanced, but it is not spoiler in saying her character is enriched through quality, meaty writing. Other cast members really add tremendously to how the plot is pushed forward and outward as well. So, a 21 gun salute goes to Gabrielle Dennis (Mariah’s daughter Tilda), Antonique Smith (Detective Nandi Tyler), and Rosario Dawson (the ubiquitous Claire). We must pay our respects to Reg E. Cathey, who plays Luke’s father with an exterior as tough. He died in February and his career ends wonderfully in this role. For Luke, things are just beginning and that is clear at the end of Season 2. Luke searches for his real place as the chief intersection between the underworld and the utopia he strives to create. Compromise is paramount, something the Hero-For-Hire didn’t seem to grasp in his first foray. Now, this will sounds a bit crazy, but the first season’s tough guy Cottonmouth becomes a bit of an afterthought once you finish the second act. Also crazy in "Marvel's Luke Cage" is the music. Ali Shaheed Muhammad and Adrian Younge handle the score, as they did in Luke Cage’s debut. Ghostface Killah, Jadakiss, KRS-One, Christone "Kingfish" Ingram, Faith Evans, Joi, D-Nice, Gary Clark Jr., Esperanza Spalding, Stephen Marley, and Rakim all make incredible musical additions to the series. Never forget: Luke Cage helped clear a path for Black Panther to come through. While the first season was good, it didn’t get that classic status that T’Challa and Wakanda got. This all changes with this season. The writing is awesome. The characters are all superhuman in one way or another, but once you peel back the layers, their motivations are very, very regular. Mike Colter really comes into his own as Luke Cage as well and the inclusion of Iron Fist in season two seals the deal: BINGE! Cheo Hodari Coker (Creator, Writer, Executive Producer, Showrunner) has to be looking at his creation like a proud papa. This one is graduated with honors.